St. Louis is famous for providing endless entertainment for the family at a price we can all afford! There are attractions scattered throughout the city that just require an inquisitive mind and a passion for adventure as the cost of admission. Check out our top picks for places in St. Louis that can transform a typical day into a treasured family memory. See 15 MORE free things to do in St. Louis. St. Louis is home to one of the world’s top ranked zoos and one of the few left that offers free admission. 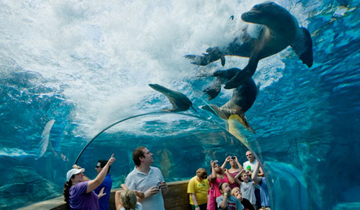 At the Saint Louis Zoo you can view over 19,000 wild animals belonging to around 600 species across 90 acres. Spend the whole day exploring the different Zoo Zones or just knock out a few before moving on to another Forest Park attraction. From the Children’s Zoo to the newly reopened Penguin and Puffin Coast, there’s something for everyone. 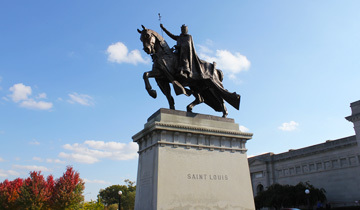 Head to Art Hill in Forest Park to find over 33,000 works of art from all over the world catalogued within the famous walls of the Saint Louis Art Museum. Browse paintings, sculptures, historic pieces and the latest featured exhibitions on display including Matisse, Gauguin, Monet, Picasso, Van Gogh and more up close and personal. You can even organize a free guided tour when you call ahead. No matter your age, there’s plenty to learn here and even more ways to have fun in the process. 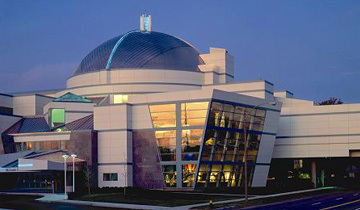 Named one of the top five science centers in the US, the Saint Louis Science Center features over 750 exhibits including the famous James S. McDonnell Planetarium and Omnimax Movie Theater. 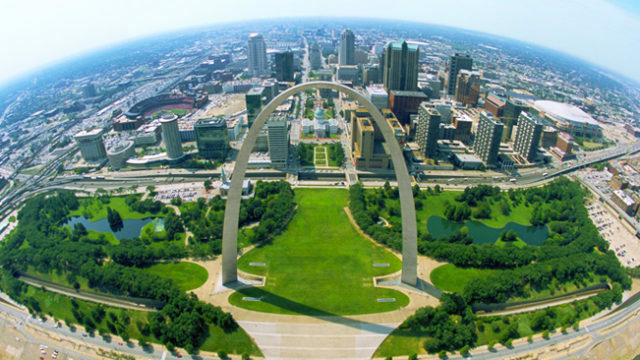 Kids will get a kick out of the many ways to stay busy here including architecting the St. Louis Arch out of building blocks, learning about the dinosaurs, or studying traffic with radar guns on the pedestrian bridge that overlooks the highway. 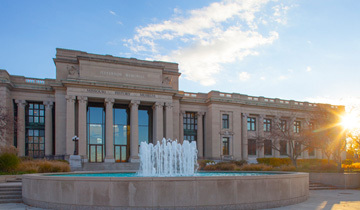 Like the nearby Art Museum, the Missouri History Museum offers free admission to view its impressive collection of artifacts, special exhibits and local items related to the Louisiana Purchase, Lewis and Clark’s famous expedition, Lindbergh’s ‘Spirit of St. Louis’, and much more. And coming this June, the museum will introduce their History Clubhouse. A space for families to foster a love of history, learning, and museums. The family-friendly gallery allows the Museum’s youngest visitors to explore the historic significance behind some of the region’s most important areas: Cahokia Mounds; Downtown St. Louis; Soulard Farmer’s Market; Forest Park; and the Riverfront. Through the interactive gallery and educational programming, the Museum is creating a safe, inclusive, and fun opportunity for children to stimulate their imagination. 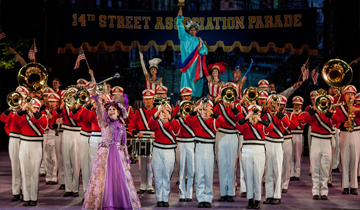 Entering its 97th season, The Muny is a great way to spend an entertaining evening under the stars with your family after a great day out in Forest Park. The oldest and largest outdoor musical amphitheater in operation seats around 11,000 people, but if you show up early, 1,500 free seats are available on a first come, first served basis in the last nine rows. From June until August, the Muny features your favorite musical productions as performed by locally sourced talent as well as big names in the industry on its stage. Originally home to the 18th President of the United States, Ulysses S. Grant, Grant’s Farm is now a popular family attraction that welcomes over 600,000 guests each year. Purchased by the Busch Family (of Anheuser-Busch fame) over a century ago, the farm has been turned into an 80 acre animal reserve which features over 1,000 exotic animals from six continents. 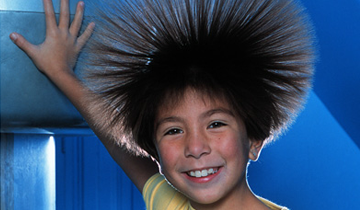 Admission, tram rides and all shows are free with special hands-on exhibits throughout. You can ride camels, feed goats, and pay a visit to the stables to get a face-to-face encounter with the world-famous Budweiser Clydesdales. 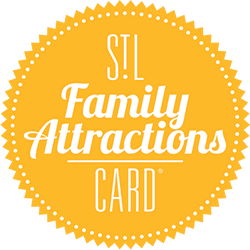 And if you want to get anything in the gift shop, use your Family Attractions Card to get 15% off your entire purchase! 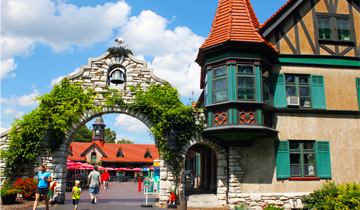 Also known as the St. Louis Children’s Museum, there’s no shortage of magic in this gigantic house in Kirkwood that features the Oval Office, a Jack and the Beanstalk exhibit, a Children’s Village and so much more. A not-for-profit museum, non-members typically pay admission, but on special Emerson FREE nights (every third Friday of the month from 5:30pm to 9:00pm) adults with their children can get in for free! And for those days that aren’t free, you can use yourFamily Attractions Card to get 50% off admission when you purchase another admission at full price. 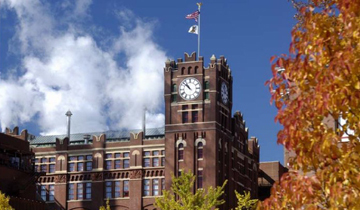 Open 7 days a week, the Anheuser-Busch Brewery gives visitors a look into the history and making of St. Louis’ most famous adult beverage, Budweiser. But don’t think this is an adult’s only paradise. The free walking tour includes something for all-ages including a stop at the world-famous Budweiser Clydesdale stables, a view of the property’s buildings (some of which are national historic landmarks), and a mesmerizing walkthrough of the packaging plant. Plus, there’s sampling of adult beverages at the end of the tour for those over 21 and soft drinks for the kids. And if you plan your visit beginning in early December, you’ll get a special treat as the entire grounds lights up for their annual Brewery Lights display. Head west on US 44 to find one of St. Louis’ favorite four legged, family-friendly destinations, Purina Farms. Admission is free and you can bring the whole family, including pets. Watch high-flying canine performances, meet farm animals up close, and learn about proper pet care. The Visitor Center offers wagon rides, cow-milking demonstrations, petting areas, play areas, exhibits and more. 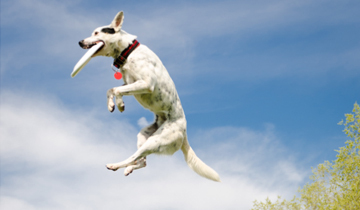 And don’t miss the Incredible Dog Arena that features daily performances by dogs that like to show off their diving, agility, and flying disc catching abilities. 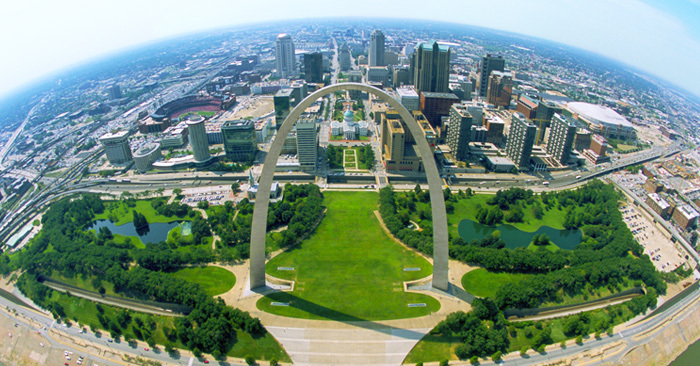 Arguably the most beautiful sight in all of St. Louis, this National Historic Landmark attracts residents as well as conservation and horticultural fans from all over the world. 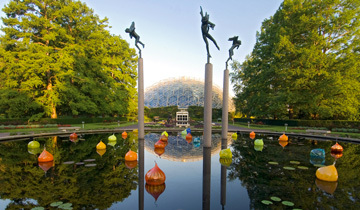 Seated upon 79 acres, the Missouri Botanical Garden is the nation’s oldest botanical garden featuring amazing garden displays for people of all ages to explore and discover. Admission is free on Wednesday and Saturday mornings for St. Louis County and City residents and, in the summer, check out their free Wednesday night concert series where the whole family can rock out under the stars. Open Wednesday to Sunday, the Contemporary Art Museum offers an expansive gallery of contemporary exhibitions and programs to showcase local and international artists. Expect a bit of a different feel from Forest Park’s Art Museum when you enter the Grand Center Arts and Entertainment District in midtown St. Louis. 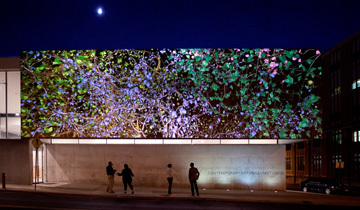 CAM features modern art that captures the changing global cultural landscape. Their exhibitions change every three months, so there’s always something new to see. Check their calendar to see what special programs and events are coming up including their Family Days and hands-on workshops! 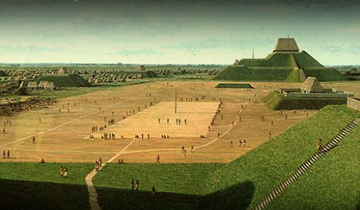 Cross the mighty Mississippi to find the Native American grounds in Cahokia, featuring 2,200 acres of historic land that was once the largest urban settlement in Mississippian culture. Admission to Cahokia Mounds is free (with donations accepted) and thanks to plenty of regularly scheduled events and programs, your family’s visit will offer an exciting opportunity to explore the great outdoors. Where else can you find over 140 great St. Louisans all in one place, surrounded by the restaurants and attractions that make the city so unique in the first place? 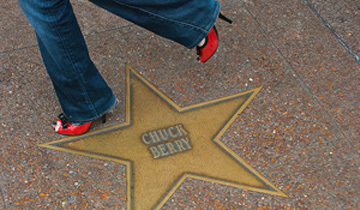 The St. Louis Walk of Fame embedded into Delmar Loop’s sidewalk showcases the cultural heritage of St. Louis by paying tribute to the men and women who’ve made an impact on our city and the world. All that walking will surely make you thirsty, so make a stop into Fitz’s Bottling Company and Family Restaurant and grab a house-made soda or a delicious root beer float! Use your Family Attractions Card at Fitz’s to get a free ice cream float with the purchase of any entree. When kids think ‘museum’, their heads will inevitably conjure up a boring afternoon in a stuffy old building. 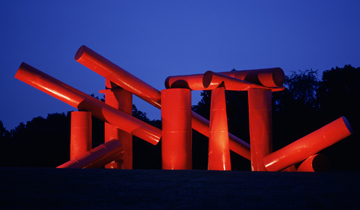 Change their thinking with a trip to the 100% free Laumeier Sculpture Park. This outdoor museum is home to dozens of massive art installations spread across 105 acres of manicured lawns and forested hiking trails. You can spend an entire day walking the grounds, seeing a different sculpture over every hill. 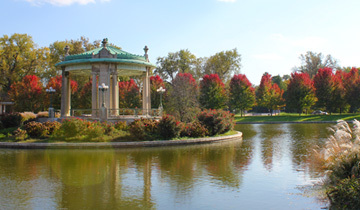 Great for picnics and get-togethers, the park is open to the public year-round, with the exception of special events. Whatever your crew chooses for their big day out, we hope you have a fun, safe adventure! There’s plenty of attractions in St. Louis to keep your family busy, but thanks to our great city and the amazing people and volunteers who understand the joy of discovery and exploration, there’s so much to see and experience in town for free. Guest Blogger Peter Cartier, a freelance writer contributed to this blog.